Grizzly bears are incredible swimmers, especially for their size, and love nothing more than splashing around in the water on a hot summer day. 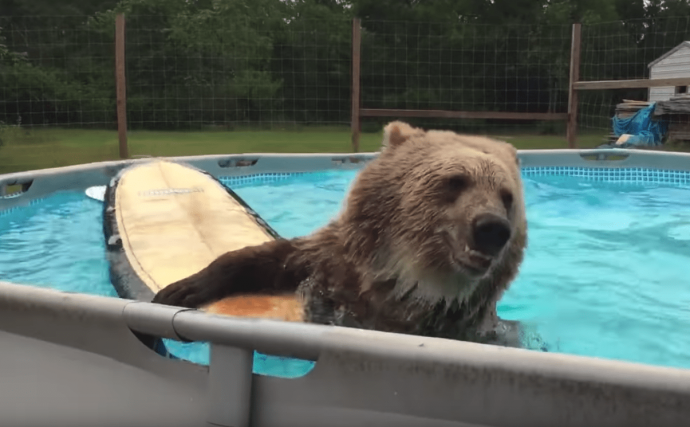 This bear in the video is named Bruiser and is at a sanctuary run by Single Vision in their worldwide conversation efforts. He looks like he’s such having a good time cooling off and splashing around in the pool!